NeuroFuse? Is It Worth It? On Facebook the other day I saw something that caught my attention. Someone had shared an article about a brain enhancing drug called NeuroFuse. This peeked my interest because I have never heard of a pill that you could take to enhance your brain functions. Whether that be because I am sheltered or there are not many brain enhancers out there in the world. Either way I needed to know more. Everyone has experienced the moment where they feel as if they cannot write that paper that is due. They cannot focus and it seems like an impossible task to get everything that you need to do done. While reading this article I happened to be avoiding doing my philosophy paper so I’m opened to any ways to get me motivated. NeuroFuse seemed to be like a great option for me. The claim is that I can take one pill and in less than 45 minutes feel the effects of being more focused and alert, but also enjoying myself while I work. Of course who wouldn’t want a pill that has the potential to increase your work ethic? This could possibly give you an edge on all other peers or even make you stand out to your employers so you are more likely to get promotions and pay increases. All of these things sound appealing to me so I decided to find out more. While on the NeuroFuse website, I found that NeuroFuse claims to contain a medley of ingredients that are claim to improve mental performance. These ingredients include Bacopa Monnieri, Rhodiola Rosea, Caffine, Phosphatidylserine, among other things. This pill is claimed to speed up the intake of visual information, improve test scores, help fight against stress of life, and improve memory. On their website there doesn’t seem to be much actual evidence of testing. Rather, the website focuses on reviews of customers claiming the effectiveness of the drug and how it has positively impacted their life. Most of the evidence of effective ness for this drug seems to be a lot of anecdotes. We know from class that anecdotes are not the strongest form of evidence, but actually considered a weak form of evidence. This is not always a terrible idea because in class we learned about the scientist who found out the link that smoking cigarettes causes’ lung cancer through stories of patience’s with lung cancers. It may not be the most efficient way of finding out a causal link but it is certainly a good place to start. Unfortunately for me the pill is too expensive for me to go out and buy a brain enhancer that has not been tested rigorously. For me to go out and buy NeuroFuse, I would have to see a double blind randomized experiment where one group receives the NeuroFuse pill and the other receive a placebo. These results would either compel me to buy the pill or further restrain me from the purchase of NeuroFuse. “NeuroFuse.” My Great WordPress Blog Focus Comments. N.p., n.d. Web. 16 Sept. 2016. This entry was posted in Uncategorized on September 16, 2016 by Matthew Porr. I’m glad someone in a college course made a post about “brain enhancing drugs”. 2 years ago, my roommate ordered a free trial bottle of NeuroFuse just to try it because he was sick of buying adderal from friends. Long story short, this pill does nothing, I have tried it myself. Maybe it was just me but, I didn’t feel any different throughout the day. Maybe this drug has a sort of “placebo effect” for its users and that people who take it think it makes them focus more but its really their own brain just working harder because they think they consumed a brain-enhancing pill. Either way, I wouldn’t waste your money on this product NeuroFuse, look for a product that isn’t hiding their testing and research like you suggested. 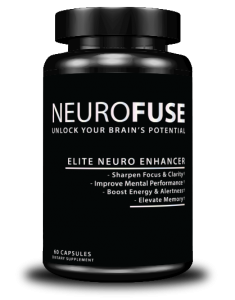 I am skeptical about this Neurofuse product. I believe that the best ways to boost brain activity are getting a good night of sleep, drinking lots of water, exercising and even socializing with people. In college these simple tasks can seem impossible to accomplish especially as we move further in the semester, which is why products like Neurofuse and other brain boosting drugs are rising. However, I think they are a tricky road to go down because they often get easily abused. We can’t learn to function only dependent on a pill. Here’s a link to an article that touches briefly on what I mentioned. I think more concrete studies will begin to come out regarding the effects of drugs like this as their popularity rises. This blog was pretty interesting to read. I think some the arguments that some brain supplements try to make are baseless and can be misleading for people. I found an article from a Cal Berkeley wellness website about whether supplements can make your brain sharper or not and they provided some interesting input: http://www.berkeleywellness.com/healthy-mind/memory/article/can-supplements-improve-memory. Nice job blogging about a pretty cool topic.